Dance music is the last genuinely new musical subculture: a completely new way of creating and consuming music. What We Started charts clubbing from the disco era through the birth of Chicago house and Detroit techno, the illegal raves of the 90s to the reign of the chart smashing superstar EDM DJs. A potted history of DJ and club culture, there's fantastic archive footage in here from New York's Paradise Garage, Amnesia in Ibiza, the Berlin Love Parade and the inevitable images of folk gurning in a field off the M25. The list of contributors is suitably impressive: Paul Oakenfold, Pete Tong, Richie Hawtin, Seth Troxler, Moby, Sasha, David Guetta, Tiësto, Afrojack, Erik Morillo and many more weigh in with stories and opinions (although the Belleville Three and the early New York and Chicago pioneers are noticeable by their absence). 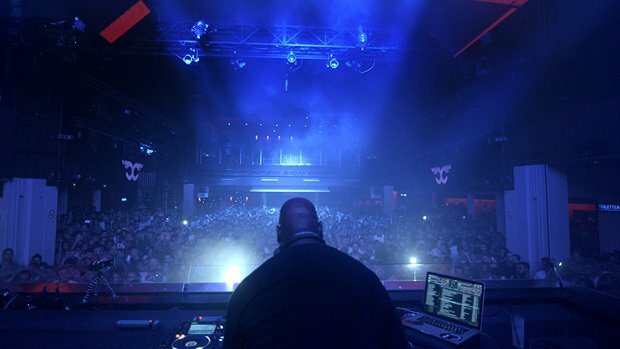 It's 18-year-old wunderkind Martin Garrix and 54-year-old DJ legend Carl Cox, however, who get the most screen time, using their lives and experiences to compare and contrast how dance music has radically changed in the last few decades: from the slow and steady graft through the rave scene of Cox to the overnight sensation that is Garrix (who signed at 14, had his first UK number one at 17 and was the youngest artist to headline the Ultra Music Festival). Refreshingly many of the interviewees refuse to toe the party line. Battle lines are drawn between underground and mainstream commercial producers. Several are openly critical of mass market 'USB DJs' and their pre-programmed sets. It's also honest enough to acknowledge the influence of drugs on club culture, recognising not just the highs but the inevitable comedown, the crime, gangs and the government crackdowns (that in turn led to the rise of the super clubs like Cream, Gatecrasher and God's Kitchen). What We Started's main fault is its ambition. In order capture the entire story of dance music it has to rattle through some of the important building blocks. In the rush to cram in so much information, inevitably some aspects are glossed over; but it does pinpoint the key defining moments in the evolution of clubbing, from the illegal party circuit to conquering the mainstream. It's a shame there's no time to even mention drum & bass, dubstep, grime and several other pivotal subgenres, but this is a fascinating journey for anyone who loves house, techno, trance and EDM. What We Started is available on Netflix from Sun 1 Jul.